Only 1 left! 1 items in stock. Sale items are not eligible for quantity discounts. For the first time in a long while we are happy to bring you our first limited edition shirt! 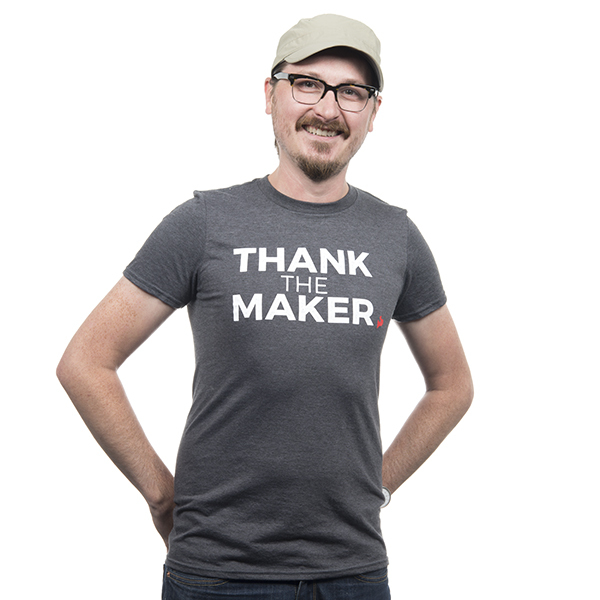 This medium light weight dark gray shirt has been emblazoned with the immortal words of our favorite golden robot thanking each of you, Makers. 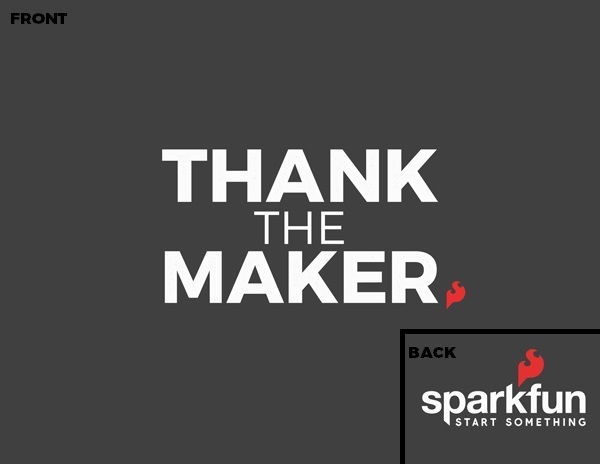 On the back of this fitted mens cut tee also has our SparkFun emblem and our moniker to Start Something. YAY, a Dune reference!!! those are far too few, these days.